The first being velvet. Ekk I love velvet. It always reminds me of Christmas, evenings out, dinner parties and the feeling of luxury. So when I saw these gorgeous pieces made of the smoothest, softest material that feels great when touched. I was in my element. 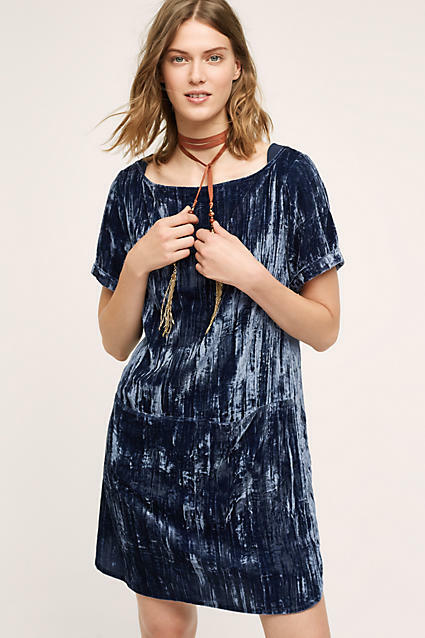 The icing on the cake when I saw this amazing blue crinkle velvet dress from Anthropologie for £108, but being such a classic piece it will be timeless and would be worn again and again - by far my favourite for the season. 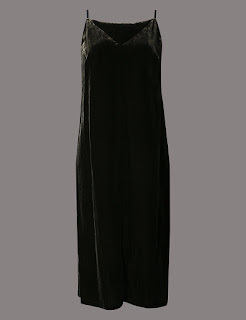 I can not wait to get going with this sumptuous fashion. Layering, adding co-ordinating pearls and leather belts. So much choice (rubbing hands together a la Fagin). Are you a velvet lover? You'll either love it or hate it! M and S Velvet Cami Dress £69 also in Khaki. Acrylic cosmetic organizer. I wanted something like this for ages, basically haven't got round to looking for one - a bit lazy on my part! I found this on ebay see here for the paltry sum of £8.84 including postage (uk). I've found it to be a god-send. All my make-up in one place and tidy for a change! They have different sets ranging from just the top organizer stand to this fabulous item. No need to look for a certain lipstick you can arrange in colour order. The drawers can fit eyeshadows, powders and blushers. The side compartment has a standing area for foundations and creams. This is just what I needed to organize my make-up, but would also be perfect for jewellery too. Winner, winner. 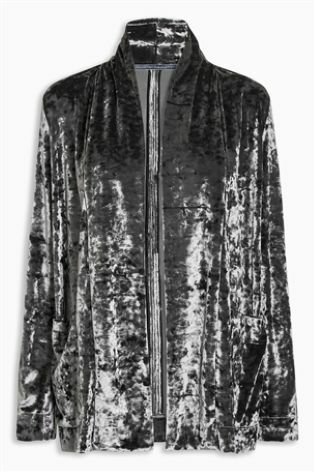 I have a such a love affair with velvet right now. I adore that blue dress! Loving the organizer too. I have one just like it! I don't own any velvet, but I like it! And I think I'll have to add some to my closet now that there are so many choices! 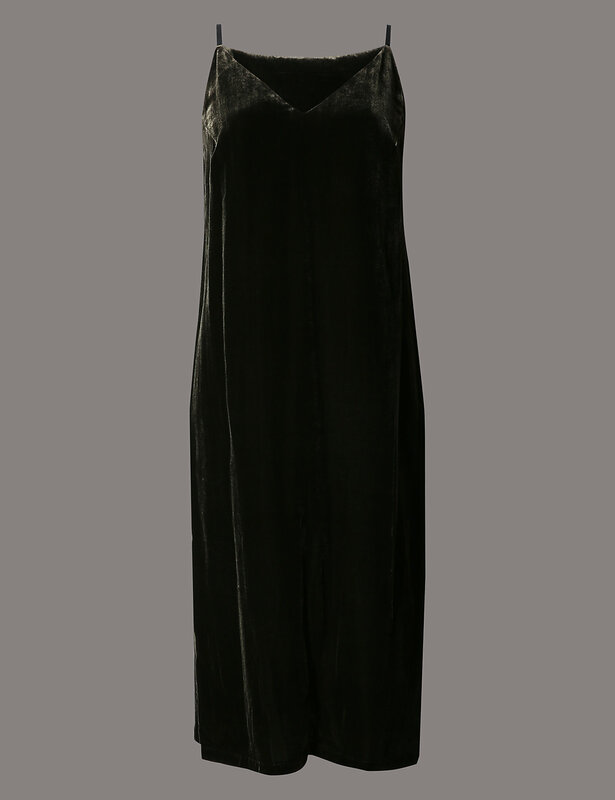 The dress is fabulous! It'll be perfect for so many occasions, and it's timeless as you said! I love velbet! I have quite a few pieces for fall and I cant wait to bring them out. Love love the cosmetic case as I have been looking for an organizer, but the prices can be so expensive! I will check ebay, thanks1!